Board member Lisa Cummins questions whether children understand Alexander Hamilton’s role in expanding the federal government. When the Broadway smash “Hamilton: An American Musical” tours through Utah next spring, a group of roughly 2,300 students will be treated to a special matinee performance. The Utah Board of Education endorsed the Hamilton Education Program on Thursday, allowing high school juniors from primarily rural and low-income areas to participate in a performing arts and U.S. history curriculum centered around the lives of Alexander Hamilton and America’s Founding Fathers. Three board members opposed the program after a brief debate that included concerns over the discounted ticket price for students — $10 — the use of adult language in the musical, and the stage production’s presentation of historical events and figures. Board member Lisa Cummins was particularly vocal in her objections, criticizing the musical for glorifying a “true politician” whose legacy includes efforts to expand the role of the federal government and establish a national bank. She said the state school board must be careful what it attaches its name to and that members need to promote the right kind of history education. “Are we really teaching about what happened and not just a musical that shares vulgarity?” Cummins asked. Board member Spencer Stokes said the adult content in the play would be thoroughly described in a mandatory parental permission form for all students. 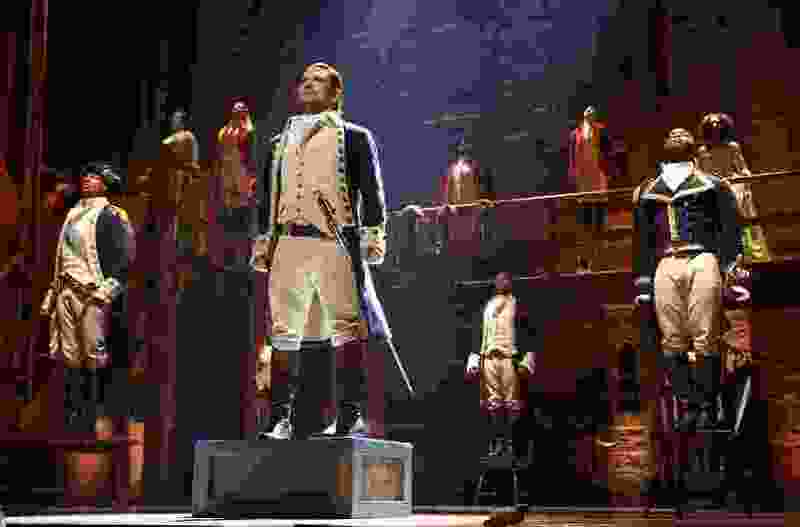 Stokes added that the $10 per-student cost for the matinee performance is a fraction of the regular ticket price to see “Hamilton” and that schools have discretion over whether to charge students or seek donations to cover those costs. Beyond the $10 cost for each participating student, the Hamilton Education Program is supported by $500,000 in private donations and $350,000 from the Utah Legislature. And, in 2016, a resolution honoring Lin-Manuel Miranda, the composer and original star of the “Hamilton” musical, received nearly unanimous support from Utah lawmakers. Joining Cummins in opposing the program were board members Michelle Boulter and Joel Wright. I want to be careful that we’re promoting the history that we want, that truth be taught. We have so much misunderstanding of history on, like board member Stokes said, we don’t know everything and we’re not teaching everything according to how it happened. We’re not using original sources. And Hamilton was a true politician and even though he helped write The Federalist Papers, he did go back and rescind everything that he stood for in The Federalist Papers. This is not somebody I want — to think this is great because we expand government. He was very much for expanding government and expanding on a national bank. And so on and so forth. Is that covered? Are the students knowing that he was a true and blue politician? Are we really teaching about what happened, and not just a musical that shares vulgarity? I just think we heave a responsibility to teach truth, to be careful what we put our name on and what we promote. Just because something is popular doesn’t mean we should just automatically jump on the bandwagon. We have a responsibility to our students to teach them the truth and this is what they’re begging for today. With the social studies standards, I think it glosses over the true intent of history and the original intent of history and i think it’s incredibly important. I just want to be very cautious and make sure that history is taught correctly.